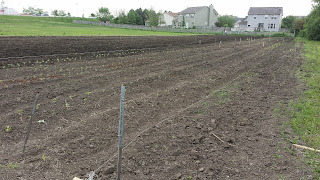 I am sad to announce that, due to a combination of circumstances beyond my control, I have given up my urban farm project in the City of Chicago and will be returning to Elgin to farm this season in the same location I used 2013 and 2014. I am very sad that the Chicago farm project didn’t work out—I had so desperately wanted to be an urban farmer and to have a more convenient farm location—but sometimes things just don’t happen as planned. 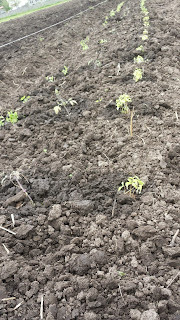 In short, the Chicago property wasn’t ready in time for me to get my main crops in the ground. By the third week of May the property still had no water access and no information about when water would become available. I didn’t feel comfortable putting plants in the ground with no water. This combined with other factors beyond my control lead to my decision to quit the Chicago project on May 16th. I have managed to evade complete disaster due to luck that the Elgin property was available and also the kindness of Chris and Marcy at Troggs Hollow Farm who welcomed me back. If it hadn’t been available, I don’t know what I would have done. Leaving the Chicago project has cost me both time and money. I had already invested money in the Chicago project. The move back to Elgin has put me behind schedule another week. Thankfully I have workers helping me prepare the Elgin property and get plants in the ground at a record pace. First plants went in on Thursday May 21st. 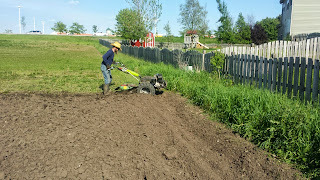 In three days we had about ¼ the field planted and almost the whole field plowed up. I had a great crop of seedlings this year and hope that they will start producing harvest soon. Ultimately, things will be fine, I know that. It’s just been a lot of farm crisis management, work, and stress the past couple of weeks. This whole ordeal only serves to highlight how difficult land access is for farmers. 2015 will be my fourth year of farming full time and I am no closer to finding a long term land solution than I saw as the beginning. If you’d like to help, you can come to the farm in Elgin and help plant seeds and seedlings. I’m happy to accept volunteers almost any day of the week, but I’m also planning a “planting party” on Sunday May 31st 2pm-5pm. Click the link below to an event page. 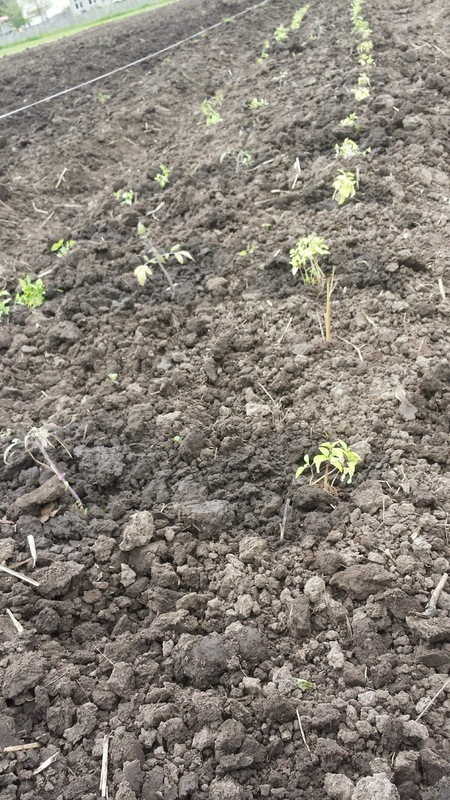 Tomatoes and basil in the ground! Elgin as of May 24th. 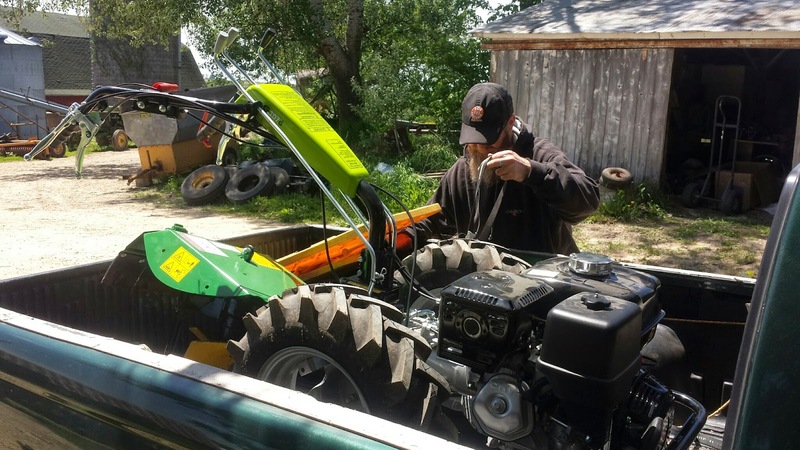 on Tuesday we drove 4 hours into Wisconsin to pick up our new piece of farm machinery. 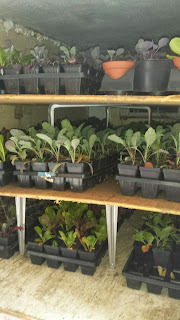 We took four truck loads of seedlings to the farm this week.